It was just four years ago when we launched freeware version of Automation Workshop and at that moment the download count of commercial version passed over 300,000 mark. 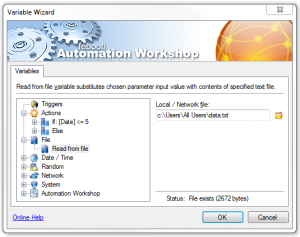 Today Automation Workshop passed one million downloads (Free+Commercial). 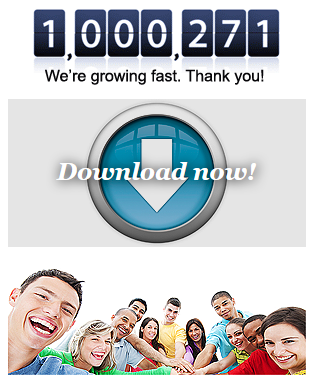 That’s about 700,000 downloads in 4 years. 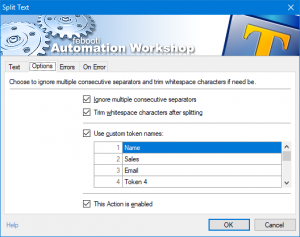 We have just released Automation Workshop v3.0.0 which introduces 18 new actions in three categories – addition to the File / Folder category, as well as brand new – Loops and Text categories. 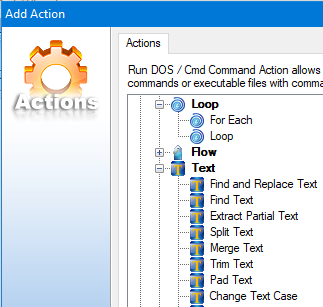 Long requested actions for text string manipulations and loops are finally there. Now it is possible to use custom named variables and tokens from Split text action. This release also focuses on many improvements and a few bug-fixes. Read detailed information in Release notes for v3.0.0. Here is a screenshot from Split text action, that is very handy when extracting data from CSV (comma-separated values) files, or when need to get values embedded into filenames. New release – Command line email v6.0 – still easiest way to send emails from your Windows scripts. Now fully compatible with Windows 10 and Windows Server 2016 all editions (Standard, Datacenter, Web, etc.). The release includes some security improvements and other tweaks. More detailed info available in the release notes. Example syntax for sending emails using Gmail SMTP server. No need for your company or ISP email server. febootimail -SUBJECT Sending CLE email using Gmail -SERVER smtp.gmail.com -SSL -AUTH PLAIN -USER YourEmail@gmail.com -PASS *********** -FROM YourEmail@gmail.com -TO email@example.com -TEXT This email is sent via Gmail's email server. It is easy and secure! Introduces Operations manager which collects all the important data in one place, and provides summary overview on Automation Workshop status and overall performance. There are numerous other fixes too. See the Release notes for the full list. We have just released two compatibility releases — one for Hex Editor and one for Hash / check-sum calculator. Now both are compatible with Microsoft newest operating system — Windows 10. And we have fixed one nasty bug in Hex Editor 64-bit version. 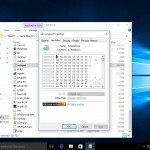 It seems that Microsoft has begun using a new memory randomization algorithm, and Hex Editor crashed a lot on Windows 10 64-bit due to incorrect casting bug (truncated pointer). 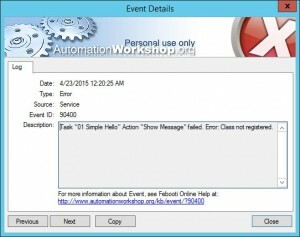 A problem caused the program to stop working correctly. Windows will close the program and notify you if a solution is available. Latest releases available for Download from febooti.com. 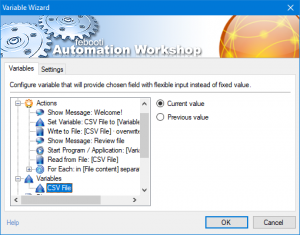 We have just fixed one nasty bug in the Setup file for Free Edition of Automation Workshop. 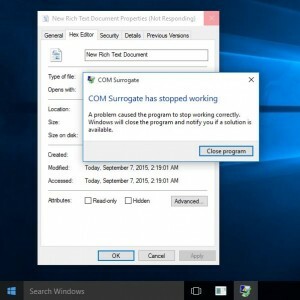 It prevented running Example Tasks, and tasks that uses Dialog Boxes under Windows 8, 8.1 and Windows Server 2012, 2012 R2, if Microsoft .NET Framework 3.5 was not manually installed. Version number stays the same 2.3.0 – there are no other changes, only the Setup process was affected. Again, to fix the issue manually, just install .NET Framework manually (.NET installation instructions). 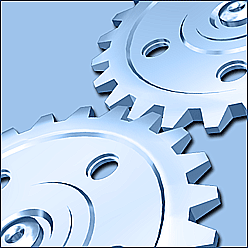 We have just released a new version of Automation Workshop with some minor updates and two new Actions. Also, File / Folder Watcher now supports Old filename (name before file was renamed) via Variable Wizard. Read full change log here. This version adds two new Wait actions. Wait for file and Wait for time. See the screenshots below. 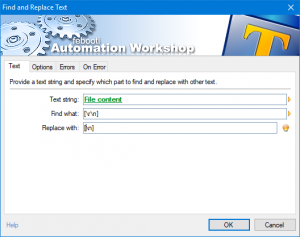 Also, improvements for the PowerShell scripts – it is not necessary to change Execution Policy to run PowerShell scripts from the Automation Workshop, Execute Script action. Download new version from febooti.com Downloads. 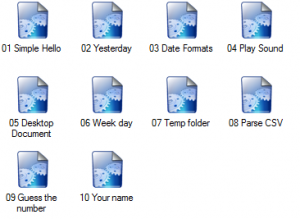 Automation Workshop v2.2.0 features three new Folder actions – Duplicate, Move and Clear folder. Also, some improvements and new features here and there. View gallery below with screenshots of new actions. View change log or visit Download page. 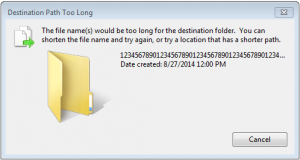 There are certain limits of file name and path lengths in the Microsoft Windows. These limits are very high for most practical purposes, thus not encountered very often, and because of that, are somewhat vaguely understood. In this discussion I am mainly going to refer to NTFS file system as the currently most advanced file system supported by Windows (some parts or this article may also be true for FAT32 or exFAT); and Unicode as UTF-16 or in some places may be UCS-2 (only 65,535 chars). One well known limit is that filename cannot be longer than 255 Unicode symbols. 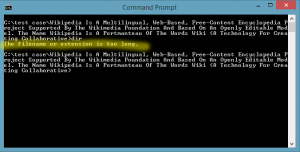 Another popular limit is 260 Unicode characters – maximum whole path length under Windows. So how many is these 65,535 symbols/characters? 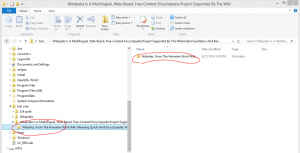 As you can see in the above examples, the whole Wikipedia article (average English) fits into path name, even when every word is separated with backslash character (\). And actually you need to separate words in the path with backslash, because of each file / folder name has a limit of 255 characters. Also, it says “The source file name(s) are larger than is supported by the file system…”, which is a bit misleading. It is not supported by Windows Shell, not the file system. But perhaps that message is meant for novice users, not administrators and PC experts. There are plenty of situations where 260 characters is not enough. For example, HTTP request has limits from 2,083 to 8,192 characters, and you want to use file system directory structure for your web application. Or perhaps your a backup application is configured to backup all user files to location “C:\Username\2014-Aug-27\Some-other-folder\” and what happens when user have already created path with a maximum of 260 characters? A Backup program should never fail, and so we must be able to overcome this limit. Filename length of 255 characters is not hard-coded. Windows API GetVolumeInformation can return greater values in future, however I have never seen lpMaximumComponentLength to be more than 255. 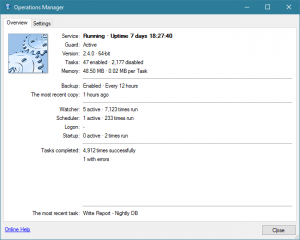 Another program that supports very long paths is newer versions of Far Manager (open source application). 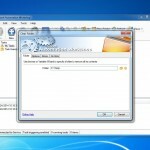 I believe, that most file managers are not limited as Windows Explorer, but I have not tried them. 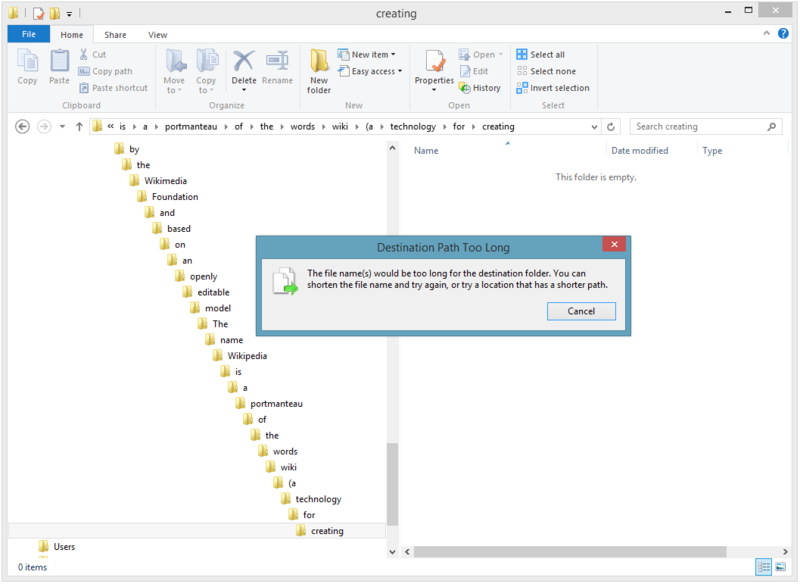 Microsoft article about File naming, Paths, including 8.3 filenames, reserved characters, Namespaces. Read here. 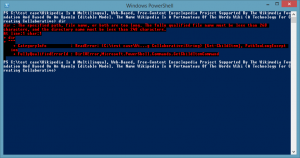 Another article from Microsoft – Windows Fundamentals. 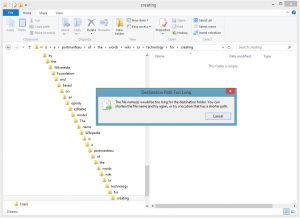 Particularly section 1.3 Support Long File Names and UNC paths. 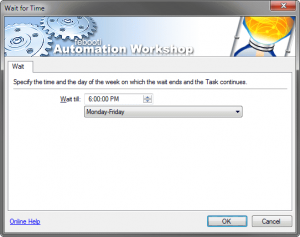 Today (Aug 13, 2014) we are proud to announce the release of free edition of our flagship software product – Automation Workshop. We believe that our step will attract much more attention, and to not confuse commercial and freeware communities, we have created dedicated website for it. AutomationWorkshop.org is a new official home for Automation Workshop Free Edition. When you visit AutomationWorkshop.org, the first thing you notice is the counter, besides that it is very beautiful site with very pleasant typography. The counter does not show zero as you have expected for the software that has just been released. It shows a little more than 300,000 downloads. The count comes from all Automation Workshop downloads, not just these of Freeware kind. We celebrated 100,000 downloads a little more than two years ago. Also, the version number is not v1.0, but the same as for commercial version – v2.1.0. File is signed with cryptographic certificate and some popular cryptographic hash check-sums are provided. The official download page is here. For more screenshots, visit the screenshot section. 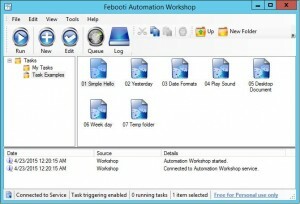 Automation Workshop Free Edition works on all Microsoft Windows versions including Windows 7, Vista, Windows 8 and 8.1, and Servers 2003, 2008, 2012. What’s next? Get involved! Here are some ideas on how you can help us to spread the word about this awesome piece of software.